A Little Hut - Patricia Zapata: which cutting machine should I buy? 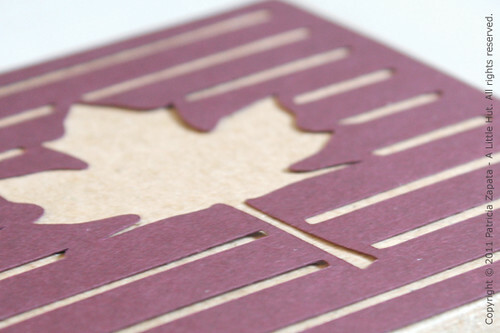 Die cutting is a practice that is spreading throughout the paper craft industry. 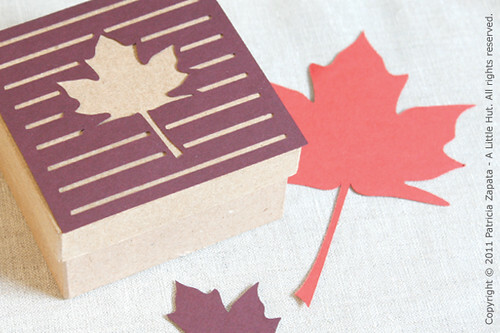 It is the best way to produce simple to intricate paper cut outs in a matter of minutes. Machines that work with dies and need to be activated manually with the help of a crank will not be covered here. I will only cover electronic cutting machines and give a short overview of what you should take into account before purchasing one. For those of you that are new to this medium, an electronic cutting machine or tool is the cutting version of a printer. Instead of pressing Print you press Cut. The end result is a piece of paper that is cut to the size and design that you have indicated. It is a dream once you get the hang of it! Most of the new machines are now cutting up to 12 inches in width, but be aware that there are machines that cut on letter-sized sheets of paper only. I prefer the 12" width simply because I don't like being limited to a smaller working area. This hasn't been a big factor for me since I only cut paper but it could be something to consider for those of you that would like to work with fabric, chipboard and vinyl among others. Some machines only allow the user to cut designs from cartridges that must be purchased separately. What that means is that you will be limited to the designs that are included in those cartridges. You will not be able to create your own designs—that's where software comes in handy. Some machines come with software included and some do not. There are also differences in software—some are only used to store and work with cartridges or images that are purchased separately. Others such as Sure Cuts A Lot or Make the Cut give the user the flexibility to use and/or create their own designs. Still others allow for both the creation of your original files and the storage (in a library) of designs that are purchased through the manufacturer or third parties. Be aware of what the case is for the machine that you are considering. Cutting mats are a must for most machines. To my knowledge there is only one machine on the market that doesn't require the use of one. In some cases, other accessories that allow the machines to draw, engrave or emboss, are also available at an additional cost. Prices for table top versions vary anywhere from the low $200s to $900 and above. It is important to know what company you will be ordering from. It wouldn't hurt to ask the manufacturers questions that you've been mulling over. Addressing them directly, will clear up any doubts you may have about their product and you will have first hand experience of how they treat their customers. Please keep in mind that I've only mentioned very basic information here. This is just a place to get started. Researching video tutorials and reviews of the different machines will further help you to purchase the right machine to fulfill your needs. Like I said, contacting manufacturers directly, specially for technical questions, will keep you better informed. My current setup (combination of machine and software) is no longer available so I can't offer any up-to-date reviews on any of the above products. I'm in the market for a new machine (still deciding). When I do order another one I'll post my thoughts and let you know how it's going. Just to clarify - I do not endorse any of these machines and I am not an affiliate of any of these companies. This is a personal post that has not been requested by any manufacturer.